The new EFS-PRO drink mix is an ultra low osmolality, state-of-the-art endurance and hydration formulation that’s engineered with the latest innovations and technology to meet the unparalleled requirements of professional athletes. EFS-PRO delivers higher levels of calories, electrolytes and other essential nutrients than other drinks without causing GI distress, even in the most extreme conditions. 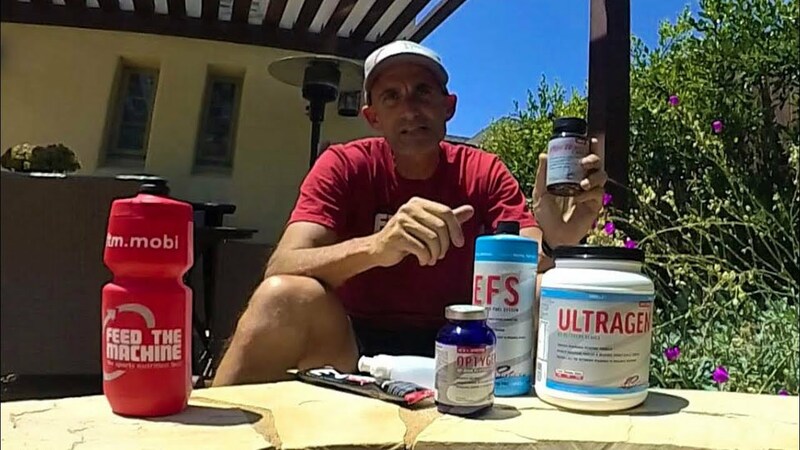 Multisport athlete and FTM product tester - Ben Morris - shares his thoughts on EFS-PRO drink mix that has a high concentration of electrolytes, amino acids, and about 100 calories a scoop! When we started using EFS Electrolyte Powder Drink Mix a while back, we were extremely pleased with the benefits. With a high concentration of electrolytes, amino acids, and about 100 calories a scoop, it became an integral part of our fueling strategy. With higher intensity events, we found ourselves putting multiple scoops in each bottle which sometimes led to an overly sweet drink. First Endurance realized this with the help of their athletes and designed EFS-PRO. We love the new subtle taste of EFS-PRO and we can drink a lot of it without any overly sweet taste or stomach issues. EFS-PRO also contains higher electrolytes per serving as well as an effective amino acid blend to delay fatigue and speed recovery. We're impressed with the EFS-PRO and are using it when we go hard, long, or when results matter. The new EFS-PRO drink mix is an ultra low osmolality, state-of-the-art endurance and hydration formulation that’s engineered with the latest innovations and technology to meet the unparalleled requirements of professional athletes. EFS-PRO delivers higher levels of calories, electrolytes and other essential nutrients than other drinks without causing GI distress, even in the most extreme conditions. 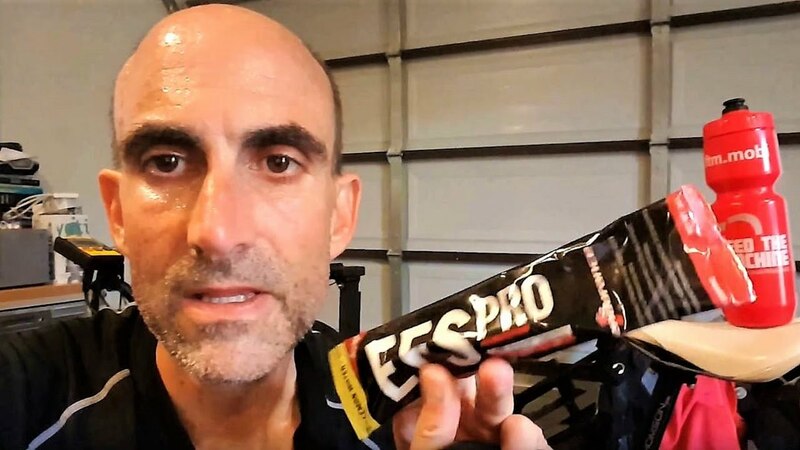 Plus, it’s designed to taste like flavored water so multiple bottles can be consumed easily without the dreaded ‘sweetness fatigue.’ EFS-PRO features a proprietary blend of carbohydrates that has unique benefits for endurance. The primary carbohydrate is a low osmolality amylopectin multi-branched cyclic dextrin that’s 100% soluble in water. This means EFS-PRO can be mixed at stronger concentrations than other drinks and still be absorbed quickly and easily. Very light flavors (designed to taste like flavored water) won't irritate palate or stomach and no "sweetness fatigue"
Clinical research shows that a 6-8% solution delivering between 45-60g carbohydrates, >1000mg amino acids, 400-600mg sodium and equivalent balance in all electrolytes should be taken every hour during exercise. EFS is designed to maximize all these levels. Athletes should consume one serving (3 scoops) for every 30 minutes of intense exercise. Adjustments should be made based on body weight, training state, individual sweat rates and preference. Use one serving for every 30 minutes as a starting point and adjust as necessary from there. EFS-PRO is designed to be mixed at varying strengths to suit your requirements. Each scoop is 40 calories. It can be used as a hydration drink at 80 calories in 12oz of water or a high-calorie formula at 120 or 160 calories in 12 ounces of water. Ingredients: Long high branched amylopectin dextrin, maltodextrin, sucrose, dextrose, Ultra Pure Amino Acid Blend (L-Glutamine, L-Alanyl L-Glutamine, Leucine, Iso-Leucine, Valine), Electrolyte Blend (chloride, sodium, potassium, magnesium, calcium), natural flavors, citric acid, malic acid. What types of athletes should be taking EFS-PRO? Long and short distance athletes can use EFS-PRO effectively. Athletes which experience cramping from strenuous exercise. All athletes who demand rapid fluid absorption in order to stay hydrated. Athletes who want all the benefits of protein without the heavy/chalky consistency of protein drinks. Essentially any athlete exercising for one hour or more will benefit from the use of EFS in their training and racing. The new EFS-PRO formula went through extensive flavor testing in the most demanding races in the world. We used this extensive feedback to create a flavor profile that mimics flavored water. With practically no sweetness this formula is ideal for those long, hot workouts where sweet drinks simply do not cut it. All formula uses 100% natural flavors and contains NO color. This allows athletes to use EFS not having to worry about staining water bottles. What electrolyte can we find in the new EFS-PRO? There is 500mg of sodium per serving in the new EFS-PRO drink (EFS Drink Mix has 300mg in comparison). This represents the highest sodium content in any electrolyte drink on the market. The EFS-PRO formula now offers over 1,500mg of electrolytes coming from all 5 electrolytes, per serving. I’ve heard that there are benefits to having protein during exercise. Why doesn’t EFS contain protein? EFS contains 2g free form amino acids per serving which is the equivalent in BCAA and glutamine profile to 9g whey protein. Protein naturally contains BCAAs and glutamine. Clinical evidence supporting the use of BCAAs and glutamine during exercise dates back to 1991. These clinical studies clearly indicate supplementing with as little as 1g free form amino acids improved performance, reduced post-exercise muscle damage, improved muscle glycogen resynthesis, reduced central fatigue and improved rate of perceived exertion. These are the same claims made by the most recent protein study and clearly support a mechanism for improved performance. A: The EFS-PRO is also fortified with L-Alanyl L-Glutamine which is a highly soluble water stable source of glutamine with some very unique features. This amino acid has been clinically proven to significantly improve the absorption of water and electrolytes in the intestinal tract. What is malic acid used for in the EFS-PRO drinks? Why is this important? The new EFS-PRO drink contains 700mg of malic acid. Malic acid stimulates oxygen consumption by increasing mitochondrial uptake, improving mitochondrial respiration and increasing energy production. Malic acid is essential in the formation of ATP, the body's energy source. Malic acid allows the body to make ATP more efficiently, even under low oxygen, or hypoxic conditions.